Debt recovery strategies in Nigeria: Steps to follow to recovering money from a debtor - Law Firm in Nigeria - Lawyers in Nigeria. Overdue debts may arise for non-liquidation of loan advances within the agreed time or for failure to settle unpaid accounts for goods and services supplied, etc. This is a step by step procedure to debt recovery in Nigeria. If your attempt to resolve the dispute amicably and obtain payment from your debtor has not yielded any meaningful result; the bold step to take is to consult a lawyer. At the interview with lawyer, you will need to present evidence that may include delivery notes, invoices, written agreements, letters, emails, photographs, memos, etc. Your lawyer after reviewing your claims will issue a Letter of Demand to the debtor, warning about dire consequences if payment is not received on or before a stipulated date (usually 7 days after the delivery of the letter). If the debtor is a Company, a Statutory Letter of Demand for winding up of the Company may be served on the Company and upon expiration of the statutory period (3 weeks), a winding up proceedings will be commenced against the Company for the Court to appoint a receiver to liquidate and sell off the insolvent Company’s assets. A Letter of Demand will show the debtor your level of seriousness to recover the debt and serves as a pre-action notice for a debt recovery proceeding. The debtor may pay up or negotiate an installment payment once he hears from a lawyer. Failure of debtor to liquidate any overdue debts is a civil wrong and not a criminal offense under the law. Thus, the Police and other security agents have no power whatsoever to arrest, prosecute or to take any action against a debtor for failure to pay debts. You must therefore not resort to self-help as the court frowns at extra-judicial measures at debt recovery. Self-help may include the use of menacing threats, violence, malicious destruction of goods or property, and/or the arrest and detention of debtor by the Police at your behest. Self-help may expose you to liabilities for assault, battery, unlawful detention, false imprisonment, constitutional rights abuse, wherein, debtor may successfully prosecute an action for his fundamental rights enforcement and for the award of punitive compensatory and monetary damages against you, which may by far exceed the outstanding sum of debt you are claiming. Debt Recovery Options Under the STMA Act. If the credit transaction you had signed with borrower was under the Secured Transactions in Movable Assets Act, 2017, all that is required in case of default by a borrower is for you to give the borrower and the Grantor a notice of the default and intention to repossess the collateral in writing. You may, 10 days after sending the notice of default to take possession of the collateral; or render the collateral inoperative. You may repossess a collateral either pursuant to judicial process; or without judicial process, if the Grantor consented to relinquish possession without a court order in the Security Agreement. In the case of repossession without judicial process, you may request for assistance from the Nigeria Police having authority within the location of the collateral. The Police shall provide assistance for the peaceable repossession of the collateral upon your presentation of a copy of the relevant security agreement and duly certified confirmation statement. If you intend to sell the collateral to discharge the debt, it must be in line with the provisions of the Act and without prejudice to the Borrower, Grantor, or another Creditor right of redemption of the collateral at any time before the sale. Where the overdue debts arose from a service contract or loan agreement, the requirements for the enforcement of the right of the vendor or lender are usually specified and provided for under the commercial contract or loan agreement. It is the Court that has the power to hear and determine an action for debt recovery and enforce payment against a stubborn debtor. Your lawyer acting on your behalf through a fast-track court procedure known as “Undefended List” or “Summary Summons” will commence a debt recovery action and for damages for breach of contract and state your case. Your lawyer may also bring an application for the preservation of the moveable and immoveable property of the debtor pending the final determination of the Court process. Where the debtor is a company, a winding up proceedings may be commenced along with the action for Summary Judgment against the debtor. Where the debtor has no defense on the merit against your claim, the Court may thereupon enter judgment in your favour. For security interest granted as collateral, the Court may order a sale; or taking of possession in your favour; or order a foreclosure against the debtor; or order a winding up (if debtor is a company) and appoint a receiver to liquidate and sell off the company’s assets. Where it appears to the Court that a defendant has a good defense and ought to be permitted to defend the claim, he may be granted leave to defend or to file a counterclaim. If you are considering an action for debt recovery, note that the information provided herein is for general informational purposes only and not a substitute for legal guidance. There are technical and procedural complexities involved in action for debt recovery. It is strongly recommended that you seek proper legal advice and help from a specialist legal practitioner. You can request in-office consultations at 08039795959| Email: lexartifexllp@lexartifexllp.com | Website: www.lexartifexllp.com. Lex Artifex, LLP Corporate and Commercial Law Group. The permission given to freely copy this article is only on the condition that Lex Artifex, LLP Corporate and Commercial Law Group is referenced and duly acknowledged as the Author using the following format: “This article was written by the Lex Artifex, LLP Corporate and Commercial Law Group. View the original article at http://lexartifexllp.com/debt-recovery-nigeria/”. Note that any copyright infringement shall be punishable under applicable law. 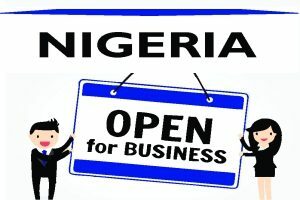 ← Starting business in Nigeria or considering expansion? Here’s how we can help.